Milwaukee, Wis. – May 7, 2018 – Baird, an international, employee-owned wealth management, capital markets, private equity and asset management firm, announced today that it has added The Pillar Group. The team is led by veteran Financial Advisor Gordon Knuth, Senior Vice President. Knuth is joined by Financial Advisor Nicholas August, CFP®, and Associate Financial Advisor Lisa Gorodenski. The team will work from Baird’s Milwaukee wealth management office located at 777 East Wisconsin Avenue. Knuth brings nearly 35 years of industry experience to Baird. 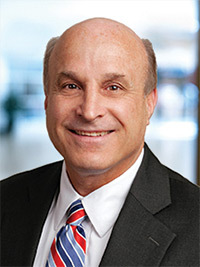 Prior to joining Baird, he served as a financial advisor for Morgan Stanley for more than 25 years. He graduated from the University of Wisconsin-Milwaukee with a bachelor’s degree in communication and a minor in business, and also earned a master’s degree in urban planning. Knuth volunteers as a high school basketball and football referee in his local community and currently resides in Cedarburg, Wis. Prior to joining Baird, August served as a financial advisor for Morgan Stanley. 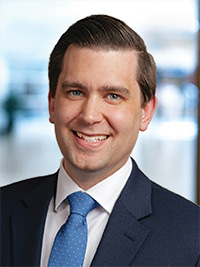 He graduated from Marquette University with bachelor’s degrees in political science and history, and is a member of the Kappa Sigma Fraternity. August currently resides in Shorewood, Wis. 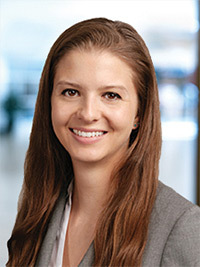 Prior to joining Baird, Gorodenski served as a wealth advisory associate for Morgan Stanley. She graduated from Grand Valley State University with a bachelor’s degree in business administration. Active in her local community, Gorodenski volunteers at the Humane Society and is involved in local environmental and women’s organizations. She currently resides in Shorewood, Wis.
Baird’s Private Wealth Management business encompasses approximately 860 financial advisors serving clients through 94 locations in 30 states, and has client assets of $136 billion. Baird is an employee-owned, international wealth management, capital markets, private equity and asset management firm with offices in the United States, Europe and Asia. Established in 1919, Baird has approximately 3,500 associates serving the needs of individual, corporate, institutional and municipal clients. Baird has more than $200 billion in client assets as of Dec. 31, 2017. Committed to being a great place to work, Baird ranked No. 12 on FORTUNE’s 100 Best Companies to Work For in 2018 – its 15th consecutive year on the list. Baird is the marketing name of Baird Financial Group. Baird’s principal operating subsidiaries are Robert W. Baird & Co. Incorporated in the United States and Robert W. Baird Group Ltd. in Europe. Baird also has an operating subsidiary in Asia supporting Baird’s investment banking and private equity operations. For more information, please visit Baird’s Web site at www.rwbaird.com.